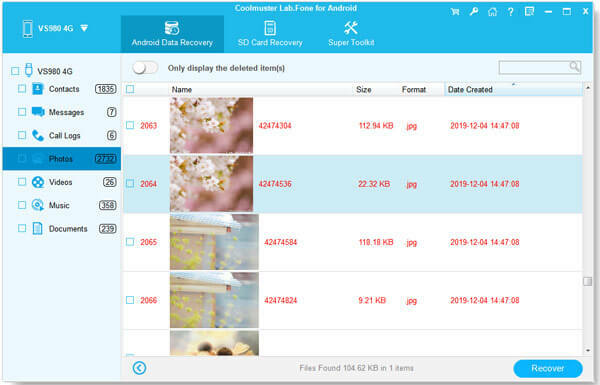 How to Recover Lost Photos from OnePlus? Home > Resources > Others > How to Recover Lost Photos from OnePlus? How to Transfer Contacts & Text Messages from Google Nexus to PC/Mac? How to Move Music, Photos, Videos between Google Nexus 4/5/7/10 & Computer? OnePlus phone was noted as having pre-installed OS system that was described a commercial variant of Cynagenmod. To secure this phone during its first release, there were several different parameters that were being published. Some of which involved only being able to buy the phone with the use of a special invitation, win via contests and the like. But just like other Android phones, data loss problem also would happen on OnePlus phones. 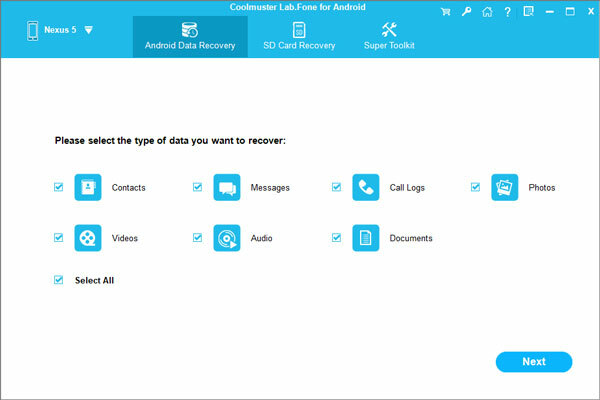 To restore lost photos and pictures from OnePlus One/One Mini/2/3, you can turn to Coolmuster OnePlus Data Recovery, which is capable of recovering lost, deleted and formatted photos, as well as contacts, call logs, text messages, videos, music and other documents from not only OnePlus phones, but also other Android phone brands, such as HTC, Samsung, Motorola, Huawei, LG, Google Nexus and so forth. Click the following button to download the OnePlus Photos Recovery and have a free trial. After you downloaded and installed the recommended OnePlus Photo Recovery software on your computer, connect your OnePlus phone to the computer via an USB cord. The program detects the connected phone and shows it in interface. Choose the file type you need to recover. For this topic, you just choose "Photos" category from the interface and click the button of "Next". Then, the program scans the OnePlus phone for all the lost photos and pictures. Preview the scanning result to find the photos you want back. Just tick them off and then hit on the "Recover" button. After that, you can customize an output location to save the recovered photos. Copyright © samsung-messages-backup.com All Rights Reserved.